No, no, no. Not THAT Groundhog Day! MY Groundhog Day! 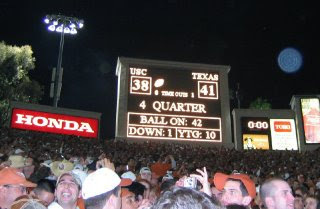 The day I could relive over and over again is Jan. 4, 2006, the day the Texas Longhorns won the national championship. On the first anniversary of that glorious January day, this was my recollection. Then last year, I posted someone else's video that closely represents the way I saw the greatest college football play of all time. It's been three years since that game, and I still can't watch the DVD without getting nervous. And yes, I cheer and cry and laugh when Vince crosses the goal line. Still. It was an incredible season, and I thank my lucky stars I had the chance to live the dream. 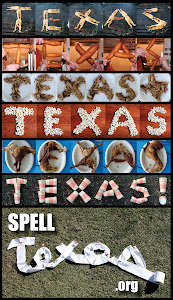 Hook 'em!